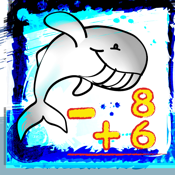 Math Exercise Kid is an interactive math exercise application for students to practice additions and subtractions. Students can perform addition and subtraction exercises showing work, using the carry and borrow field(s) provided, with each question. Math Exercise Kid provides mobility and flexibility to performing addition and subtraction exercises. Students can easily apply addition and subtraction skills learned with the Math Exercise Kid to paper-based exercise in schools. This version has no ad. -Three different levels: Easy (one digit), Median (two digits) and Advanced (three digits). -Carry and borrow fields to help students show work. -The numbers are randomly generated. -Option to choose number of questions in each exercise session. -Summarizes student’s achievement in each exercise session.